It is always so wonderful and interesting to know how each and every culture celebrates weddings. 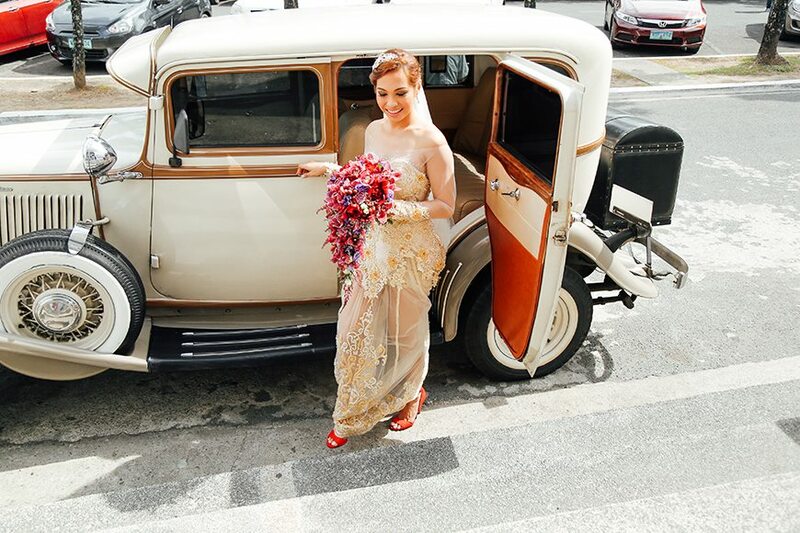 It is a testament to the fact that there are so many ways to formalize and create a wedding - and that doing it in the church, wearing a white dress is definitely NOT the rule of thumb for everybody else in the world. 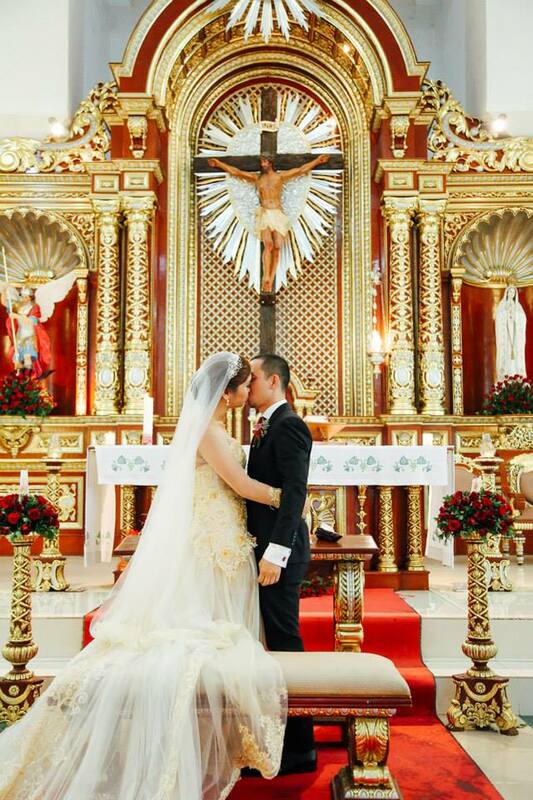 Wedding ideas are aplenty for church-based and big-budgeted weddings. But what if you don't necessarily want to have that kind of wedding? What if you are having a civil wedding? 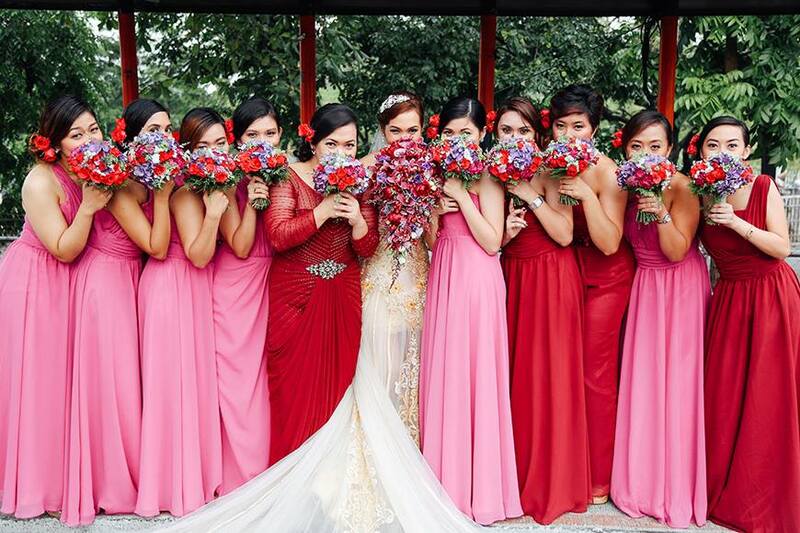 What if you want an intimate wedding? What if you just want something different for a change? What if you don't want to spend too much on the wedding because you'd rather use your money on other things like the honeymoon or your home - but then of course you also want the wedding to be special, right? 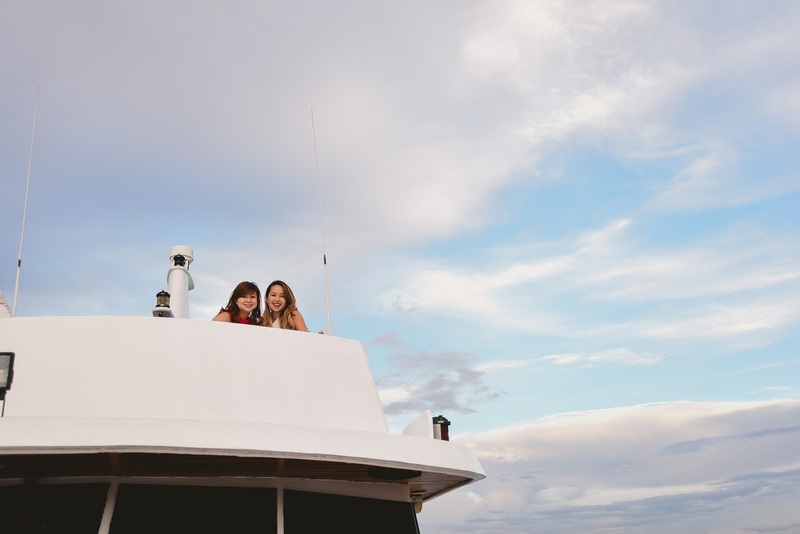 We recently celebrated our blog's anniversary with a yacht party and it definitely felt like we were planning a wedding (CLICK FOR RELATED ARTICLE). We realized that our party can be a source of many ideas for rebellious couples such as yourselves. So in this article, we will prove to you that a fabulous, unique, and tasteful rebellious wedding for just 300k is possible. Not just possible but very doable! 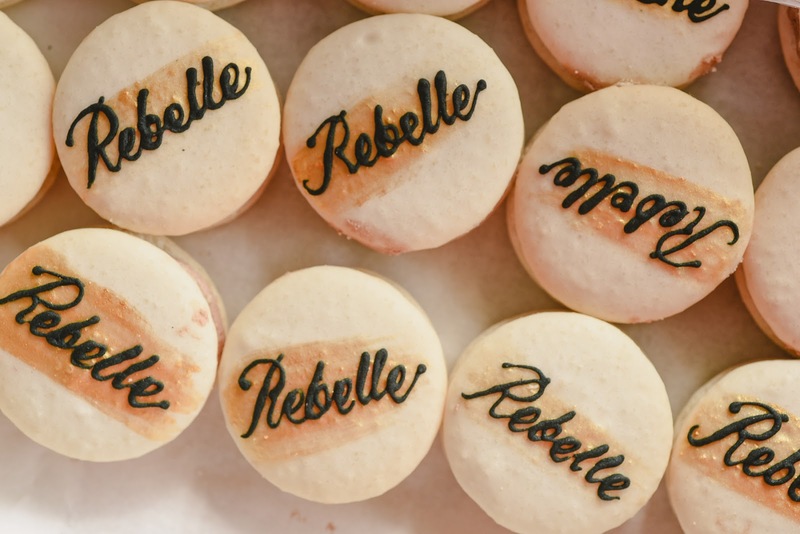 When we were deciding on where to do our party, one thing that we wanted to do was treat our guests the "rebellious way." Our guests were mostly wedding suppliers who naturally go to wedding festivities on a weekly basis and so changing things up a bit was something we constantly pressured ourselves with. Needless to say, we wanted our guests to be excited to go to our party and we wanted them to genuinely enjoy themselves with a new experience. That's when the idea of throwing a yacht party came to be. Keep in mind that your guests (including yourselves), probably already went to soooooo many weddings to last a lifetime. So why not make them feel special by treating them to something new--yes it's your day but your guests/loved ones are just as important. And so apply the same train of thought that we went through when we were planning our party. At first we had some concerns--what if it rains? 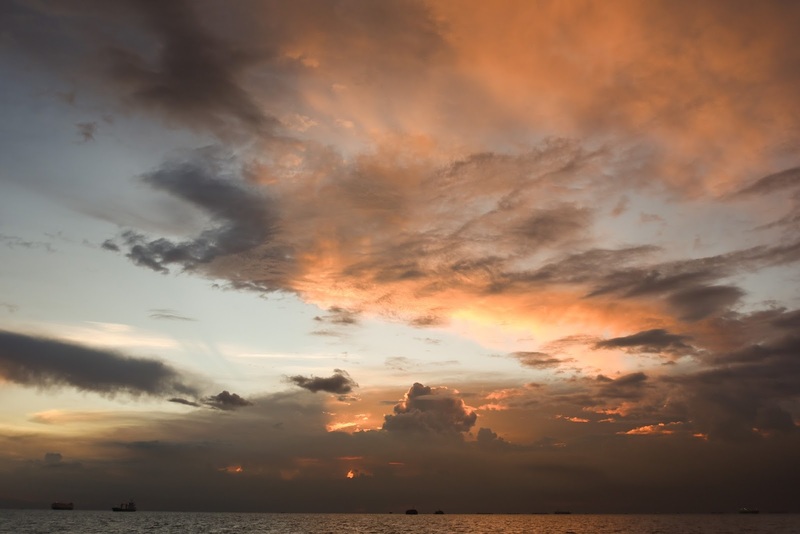 What if the water stinks? What if the boat is rocky and everybody got sea sick? What we discovered though was that none of these things became a concern on the day of the event. Sometimes being too much of a worry wart isn't a good thing and it attracts the negative things that you keep thinking about. 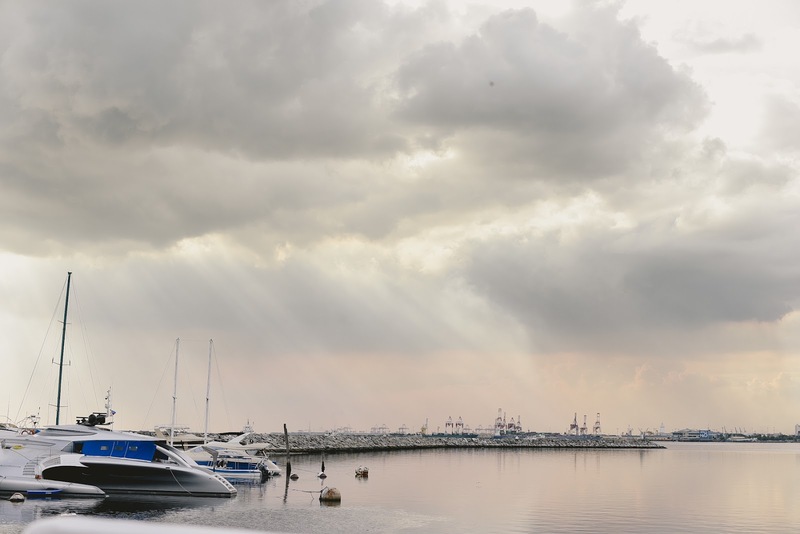 The yacht we rented from Manila Luxury Club was docked at the CCP Terminal B area (not in Manila Yacht Club). And luckily, the area there doesn't stink as bad. 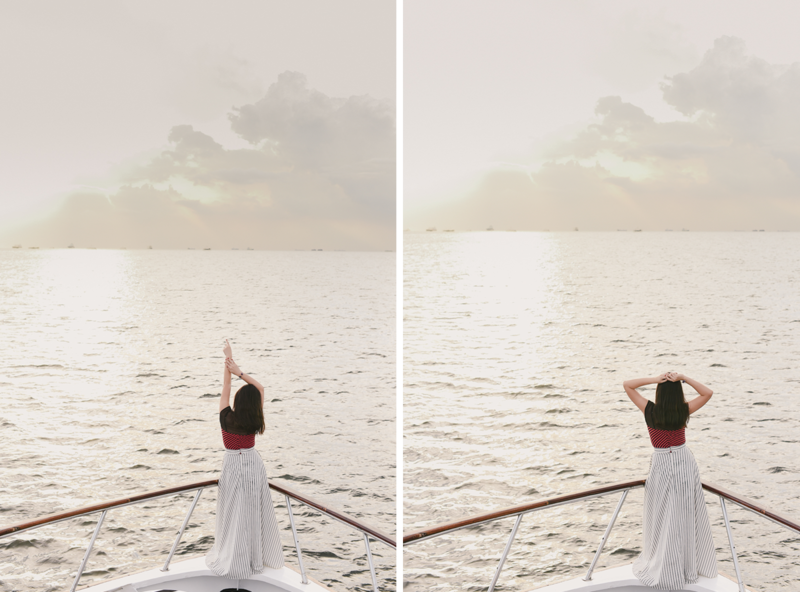 And once the yacht sailed, fresh air was actually available (haha). It also didn't rain and the ride was pretty smooth, not choppy at all. The best part was that the yacht could accommodate up to 50 pax. That means that if you were to seriously consider this as your wedding venue, you could invite as much as 40 guests - which is not so bad. Why 40? You need to count your caterer, photographer, videographer, and yourselves. So leave the remaining 10 pax for that. Being on a budget doesn't mean you can't be as tasteful as you can be. 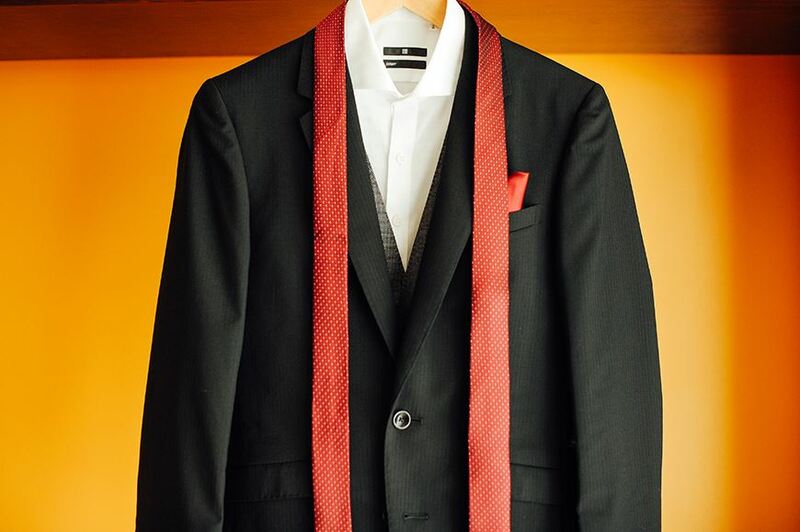 For our party, we used the color palettes of black, pink, and gold for our details/props and then we used "fashionista red" for the dress code. 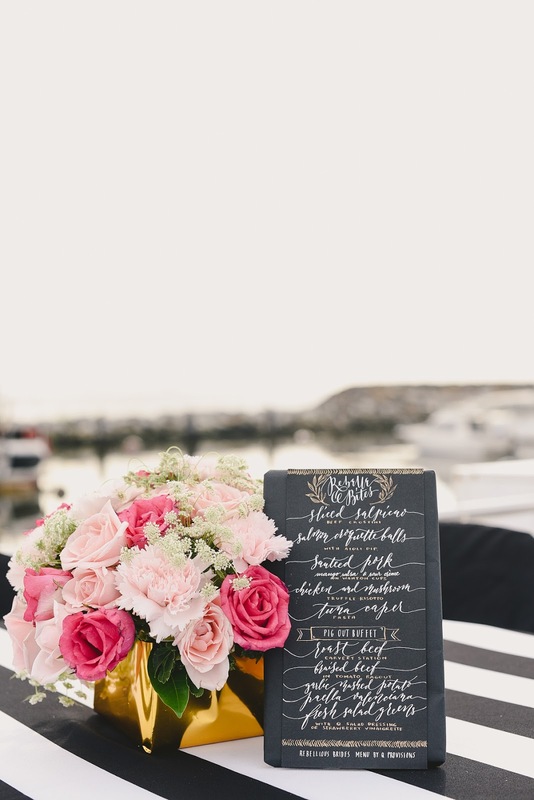 We also did a lot of calligraphy and chalk scribbles where possible because doing so immediately adds a lot of texture and character to any event. For our looks we had custom-made skirts created by designer Ryan Madamba. 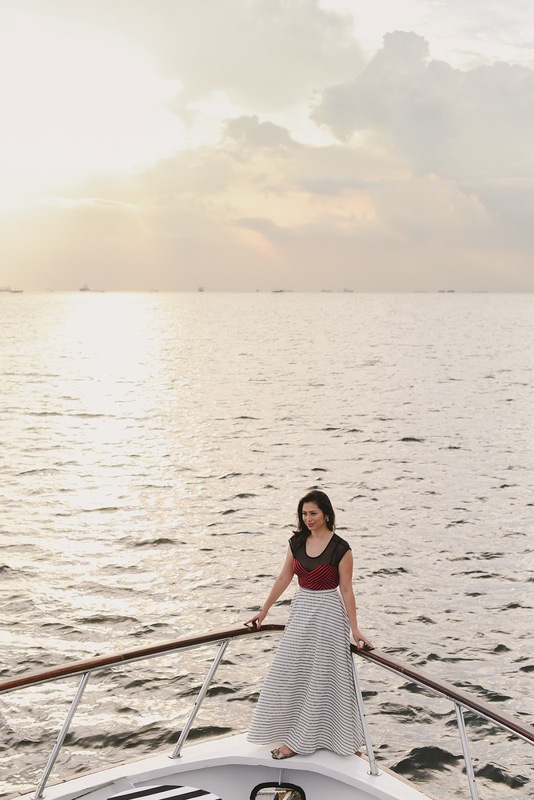 Each one was carefully designed with the yacht theme in mind - Ryan made sure our skirts were breezy and light so that it goes with the wind as we sailed around Manila Bay (perfect for pictorials). The skirts were also bridal in a way as it had a train. So for your wedding, why not consider having a 2-pc look? 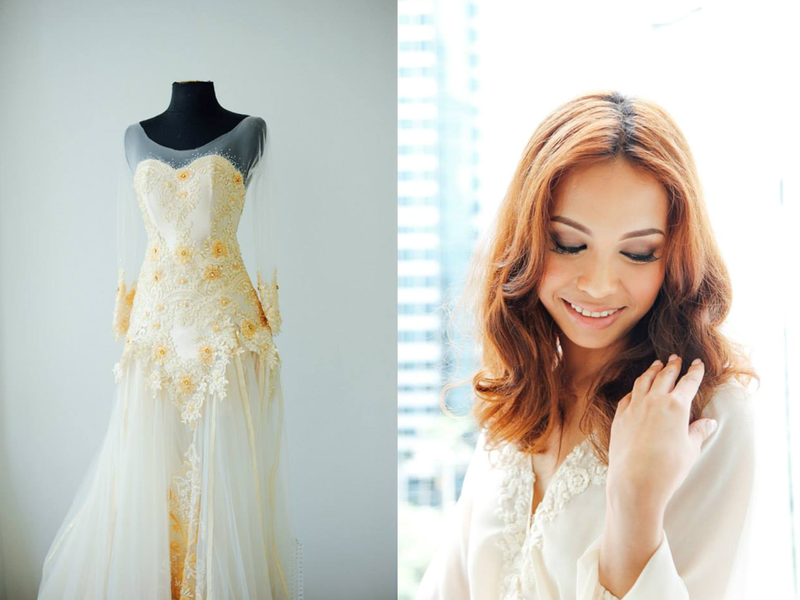 Perhaps a white skirt made by Ryan Madamba and then pair it with an embellished white top? 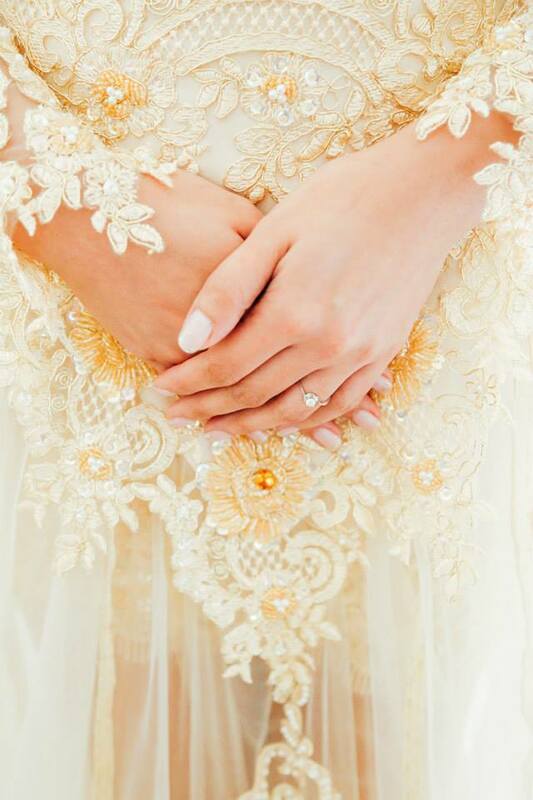 Not only is this look so beautiful and stylish, but it is also very practical since you can still wear it for any other occasion even after your wedding! If you are interested in having Ryan make a skirt just for you, this can cost anywhere from P4,000 - P8,000 depending on the materials to be used. IMPORTANT NOTE: Let's keep in mind that even if you are on a budget, the objective is to be TASTEFUL even if you are on a budget. 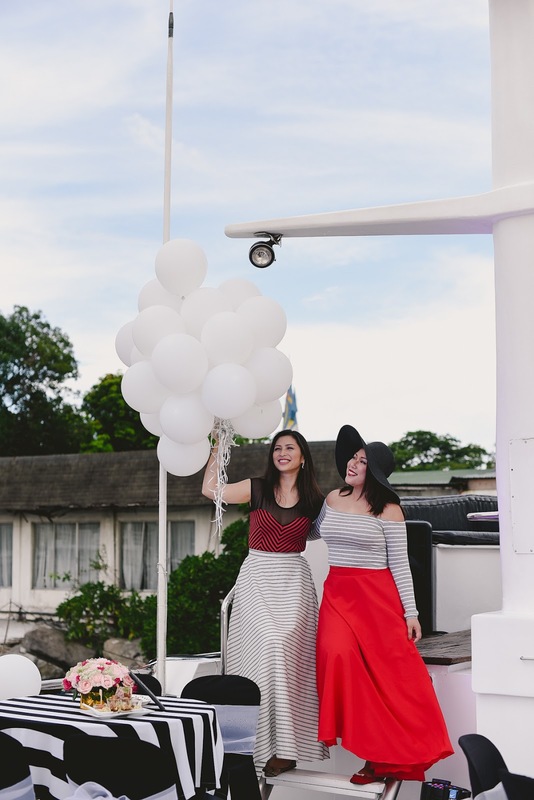 Sure you can have a skirt made in Divisoria - but there's a technique in having the right tailor-fitted skirt made. Besides, being on a budget doesn't mean you can't spoil yourself a bit. You are still a bride after all. 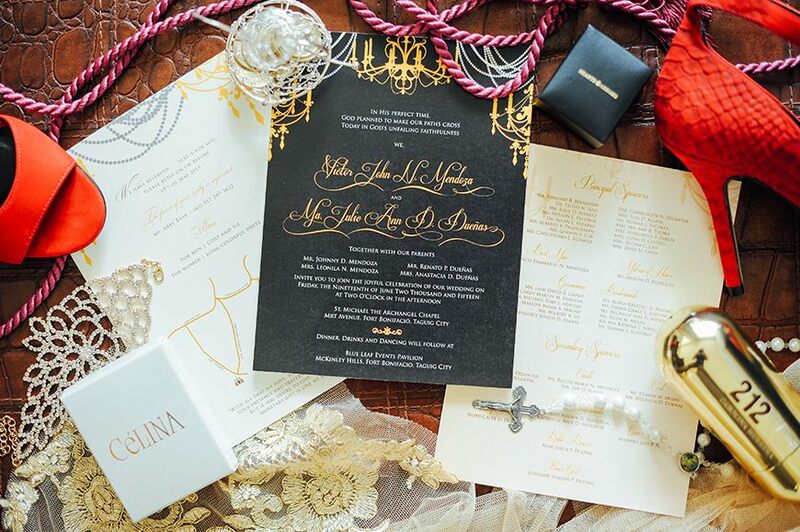 As for our invitation and calligraphy, these were done by Wallflower & Paper - our newest favorite calligraphist because their style is just so rebellious in a sense that they experiment with a lot materials and layouts. 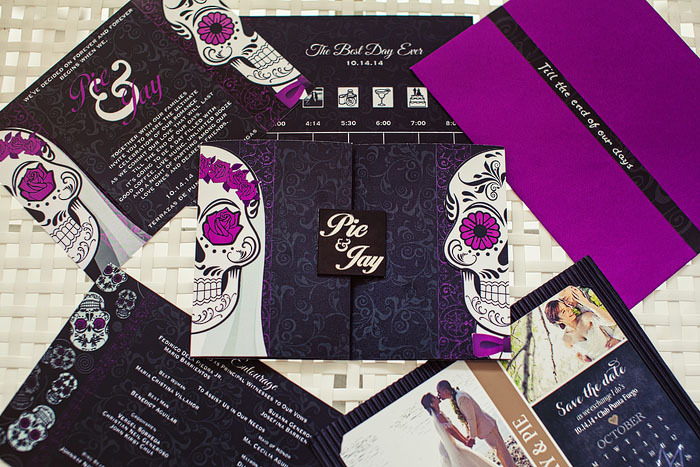 Cost for invitation and menu layouts are at P5,000. IMPORTANT NOTE: Let's keep in mind that even if you are on a budget, the objective is to be TASTEFUL even if you are on a budget. And printing something using an excessively cursive font like Scriptina is NOT tasteful, dears. 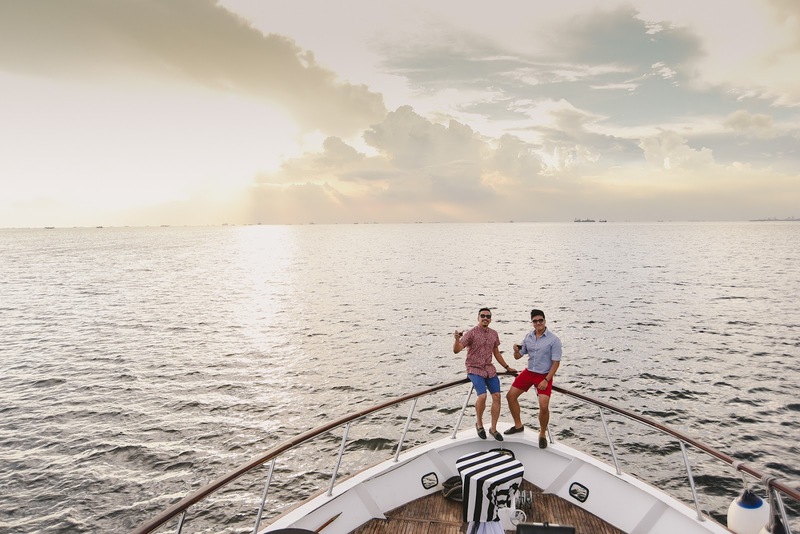 A yacht party is not the kind of theme that you need to overly style because the yacht in itself is already part of your "decor." 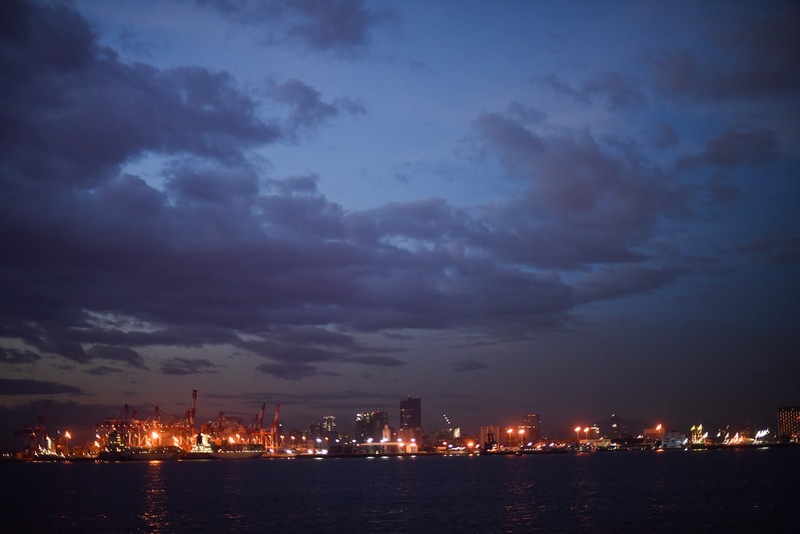 Plus, when you start sailing the Manila skyline will be your backdrop. The bright city lights are surprisingly cool - there really is no need to style the yacht any further. But having said that, it would also be nice to have just a few touches to add a little bit of personality. What you lack in styling you can overcompensate with colorful and creatively decorated desserts, floral centerpieces, printed table cloth, and charmingly wrapped giveaways. These things go a long, long, way! 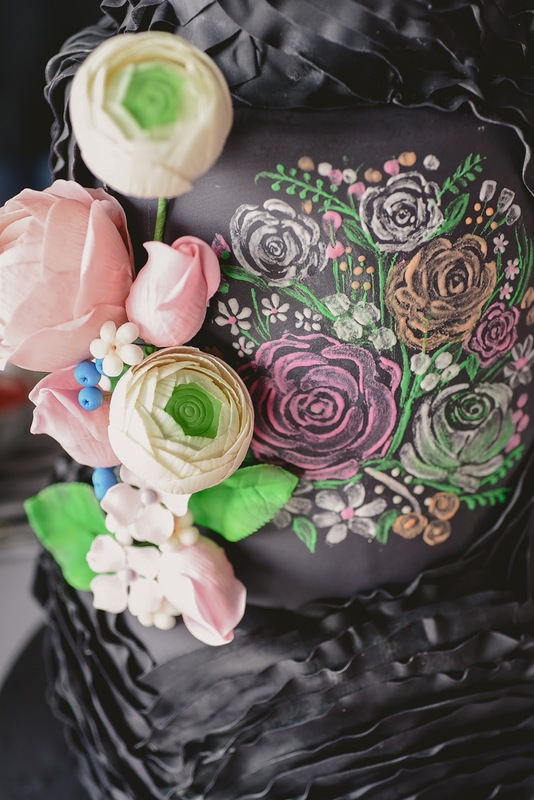 Our uber cool "Chalk Cake" and our black/gold/pink printed macarons were all made by Sugarplum Pastries - what more is there to say? The photos speak for itself. They were instant hits with our guests! 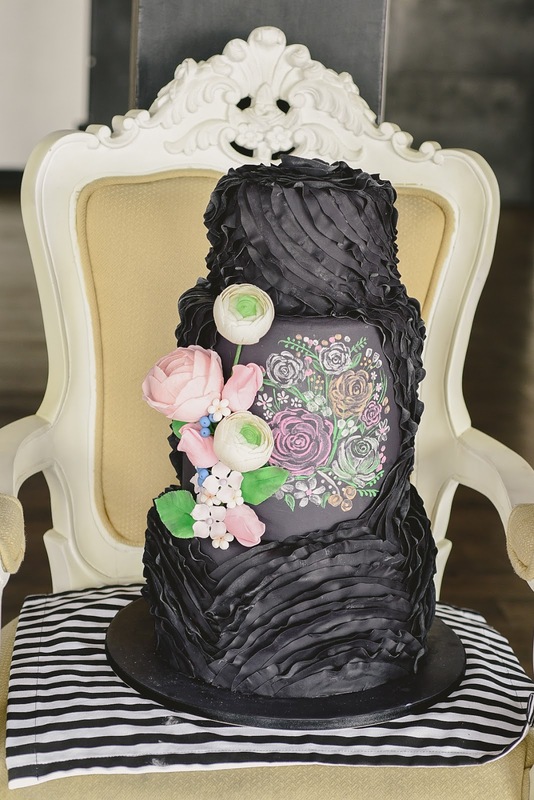 For a 3-tier hand painted cake like ours, and to have customized macarons of 4 dozens, the cost will be P13, 800 in total. The cost can still be lower if the cake won't be hand painted. At the end of the day, wedding guests want to be treated to good food. Good food that doesn't run out midway into the party (LOL). 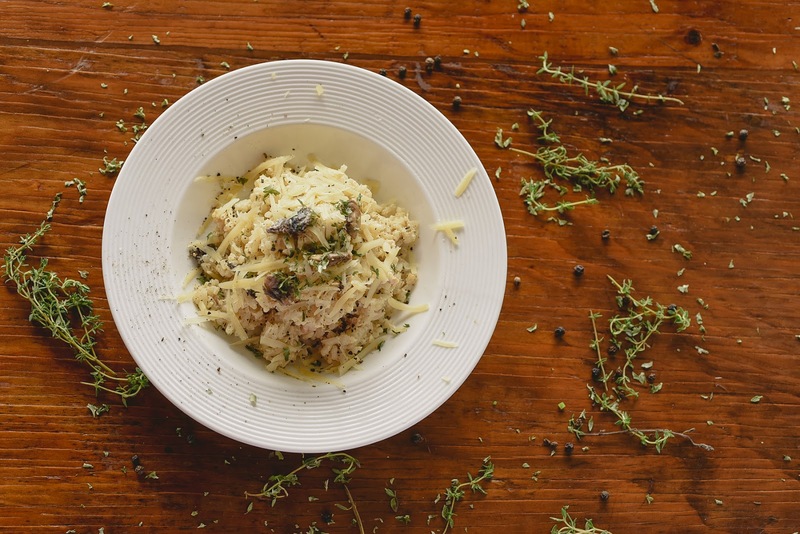 We absolutely love Q Provisions because their food is just simply DELICIOUS. 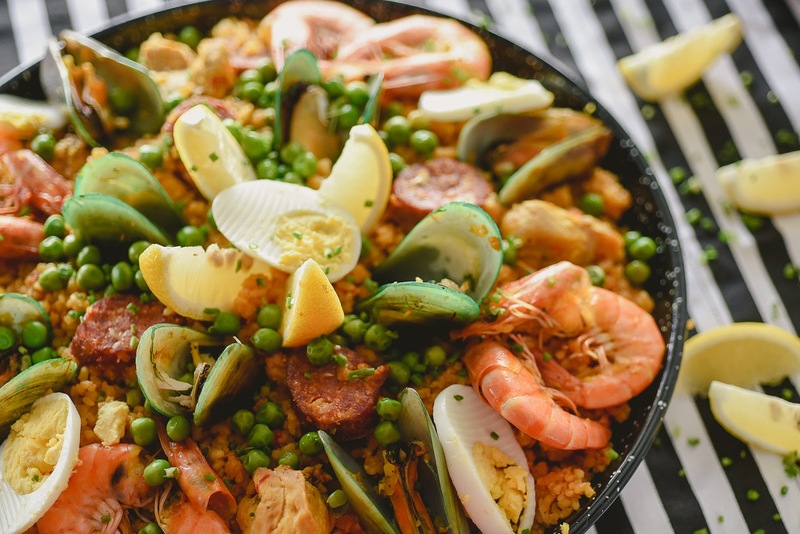 As in yes, here in Rebellious Brides we are all picky with our food and we are dead serious foodies - that kind of delicious. And we don't even like the taste of some of the more popular caterers, mind you - we are that picky (and maarte with food, we know and admit to that). And Q Provisions is not just delicious but generously portioned and reasonably priced. They are also "rebellious" because they are so easy to work with and so open-minded. 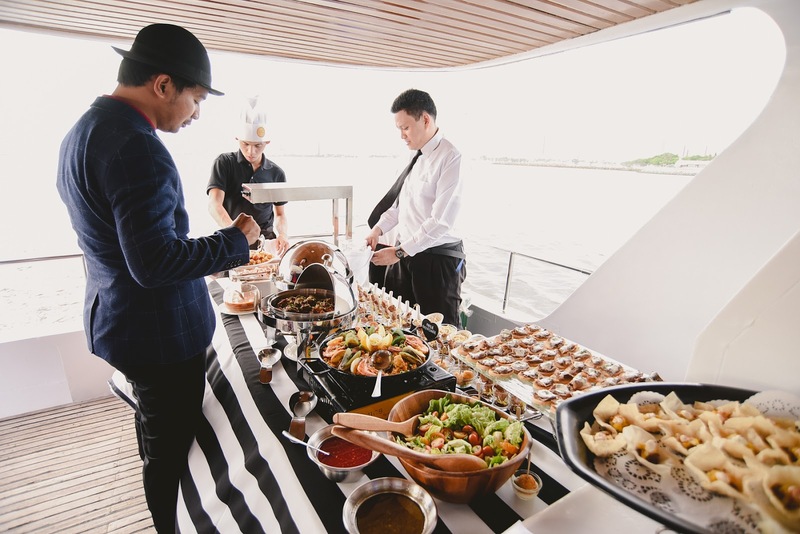 I mean, most caterers would say N-O to an intimate wedding and a venue like a yacht. 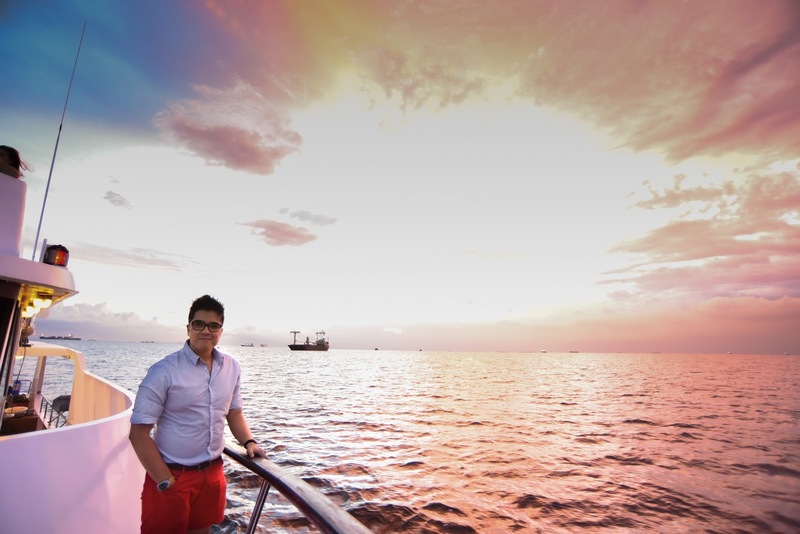 But when we told them that our event was in a yacht, their reaction was YES! GAME! LOVE IT! 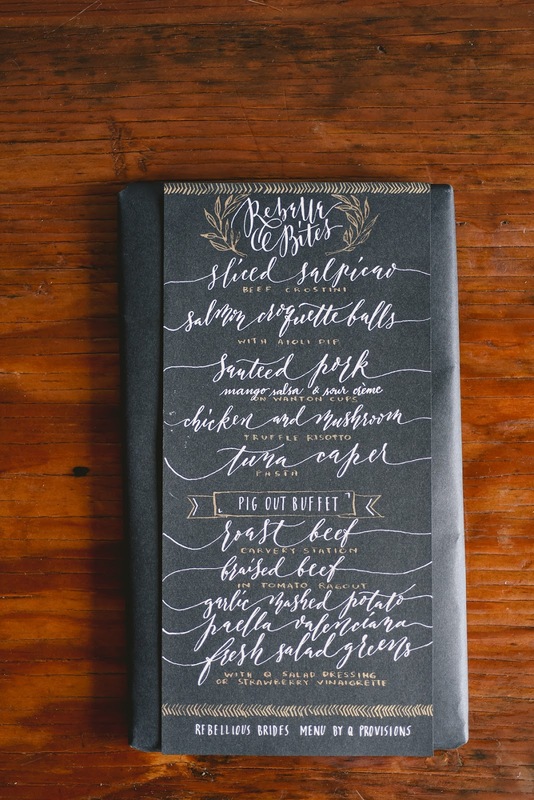 And that's the kind of caterer you would want to work with on your big day! Plus, we love the fact that they have printed table cloth fabrics at no extra charge (TIP: Ultimately when you have printed table cloth you won't need to pay so much on styling anymore). 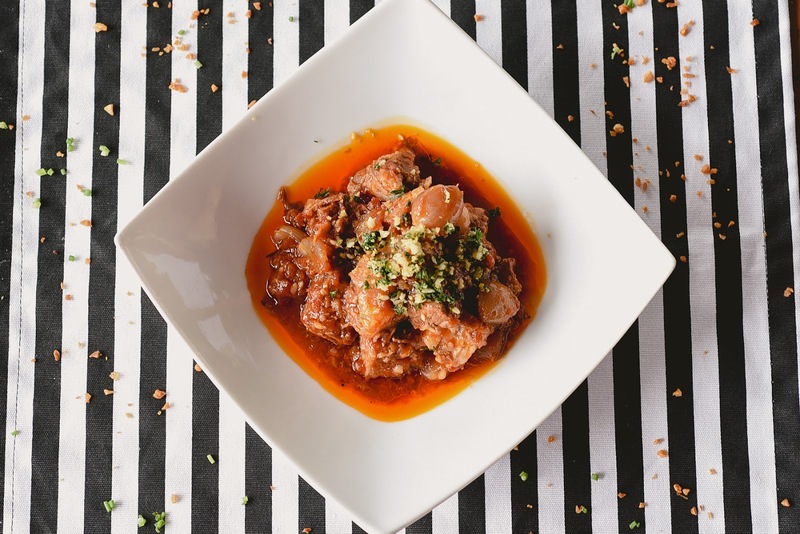 For our menu, we had the following appetizers: Sliced Salpicao, Salmon Croquette Balls, Sauteed Pork, Chicken and Mushroom Risotto, and Tuna Caper Pasta. For the main courses we had: Roast Beef Carving Station, Braised Beef, Garlic Mashed Potato, Paella Valenciana, and Fresh Green Salad -- all for P995 per head. 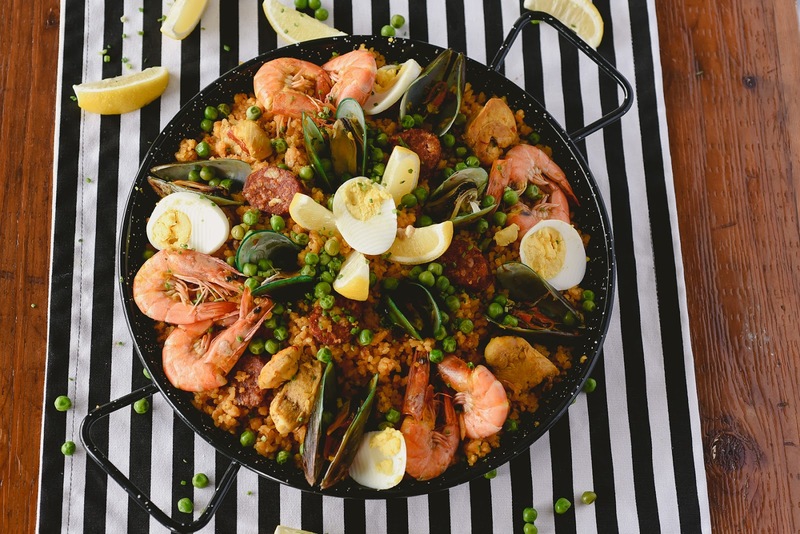 PLUS we have a 20% OFF exclusive discount with them so that's just P39,800 for 50 pax! 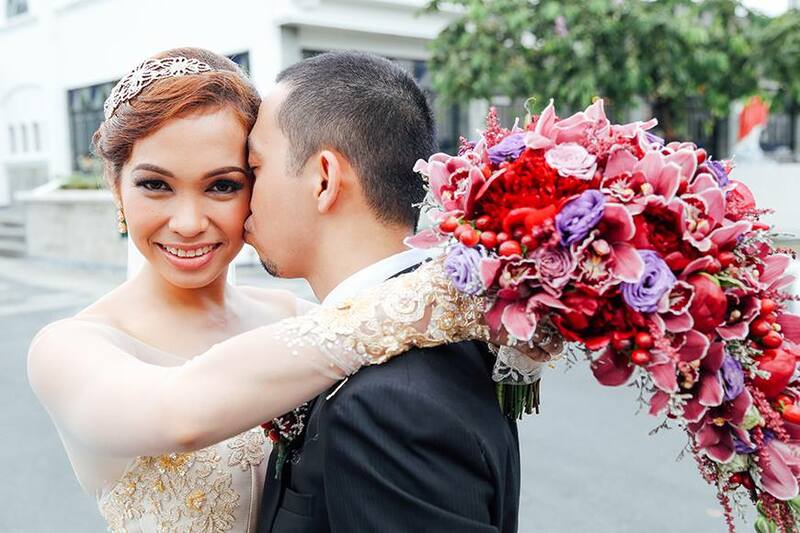 When it comes to wedding photography and videography, we will never tire of nagging you to get the best of the best. And having a tight budget is not an excuse to get just any team. At every price range there are gems of photographers and videographers to choose from. All you need to do is do your due diligence. Be very. very, careful when getting cheap suppliers who give you good rates even in wedding expos. Some are fly-by-nights, some are bogus modus operandis, some plagiarize other suppliers' works and pass it as their own portfolio. Rule of thumb: Always run a background check on the suppliers that you are considering by asking previous clients about their own experiences, verifying if their portfolio is really their own work, finding out where they trained (and double check if those info are true). NOTE - we've also heard that some suppliers "name drop" that they know us - please email us first to verify if this is true. Speaking of our blog, if you are a fan of the blog, might as well get a team that we rave about or a team that we always feature - especially features from recent years. We are not trying to be snooty or anything. We are actually just looking out for your best interest. Because nothing is more tragic than a well-planned, creative wedding that doesn't really come out in the photos and videos because the team did a poor job of documenting it. Having said that, for our yacht party we got two photographer teams. 12 Masters Photography's works was featured from our first post (CLICK FOR RELATED ARTICLE). And then we also got Studio XOXO for this feature. Always choose a photographer team that shares the same vision, personality, and taste as you do. It's never just about getting somebody who can shoot a camera. It's about creating a bond with a team that is about to capture the most important day of your lives - somebody that will capture your most beautiful self, your tears, your kisses, your moments with loved ones. Don't ever think that taking these photos are as simple as taking a photo from your phones either. Because IT IS NOT. Studio XOXO is giving a special promo for our anniversary. 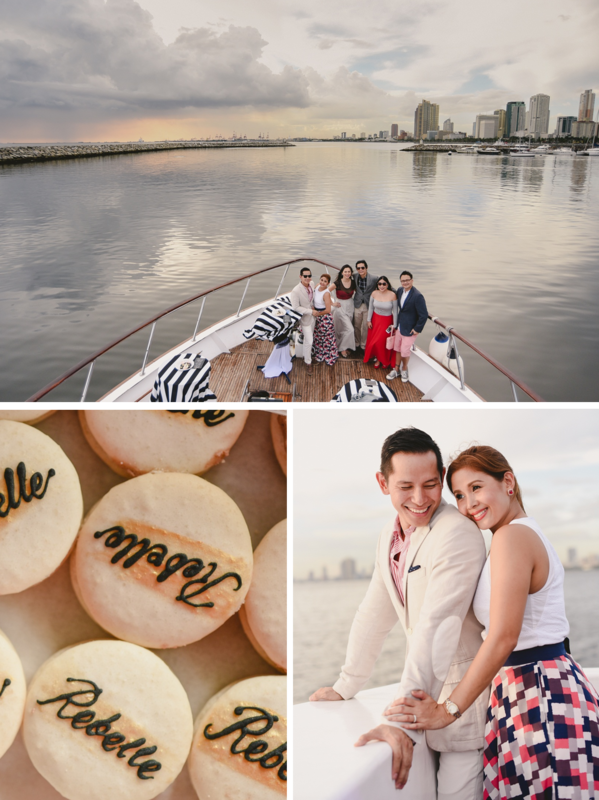 You can get their package for only P40,000 which already includes Prenup & Wedding Photography Services, slideshows/AVPs, edited photos, and prints. *All prices were correct at the time that this article was written in the Year 2015. As you have seen, everything that we suggested above and plus other additional expenses have so far amounted to P264,600 and the balance is at P35,400 - which you can use for wedding rings and for the church ceremony. For the wedding rings we have an exclusive 10% off from Atelier 818 (formerly Cuenca Jewelry) which you can email us directly for inquiries. 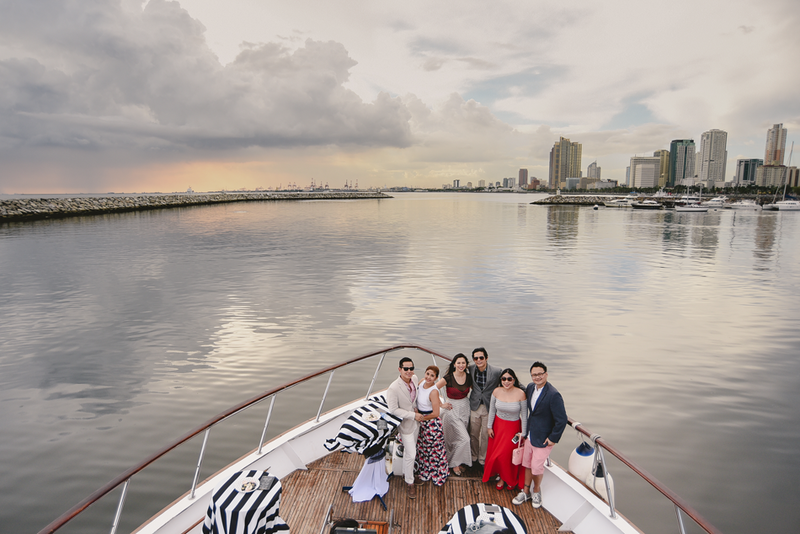 The church ceremony can simply be done in a chapel near the area which normally costs just about P5,000-P10,000 or if you don't need it to be in a church, you just have to pay for the pastor to do the ceremony aboard the yacht during sunset (so romantic!). Everyone has their own quirks. That's because everyone is unique. And when you name your photography team Quirky Creatives, then by law of attraction, you've practically claimed being, well, quirky. For us, that means there are more and more couples showing their real personalities. Being quirky doesn't just have to mean you are weird/kooky/wacky/crazy (but all these are good in our books! ), it can also mean you are embracing your imperfections and loving yourselves for who you really are, no pretensions involved. 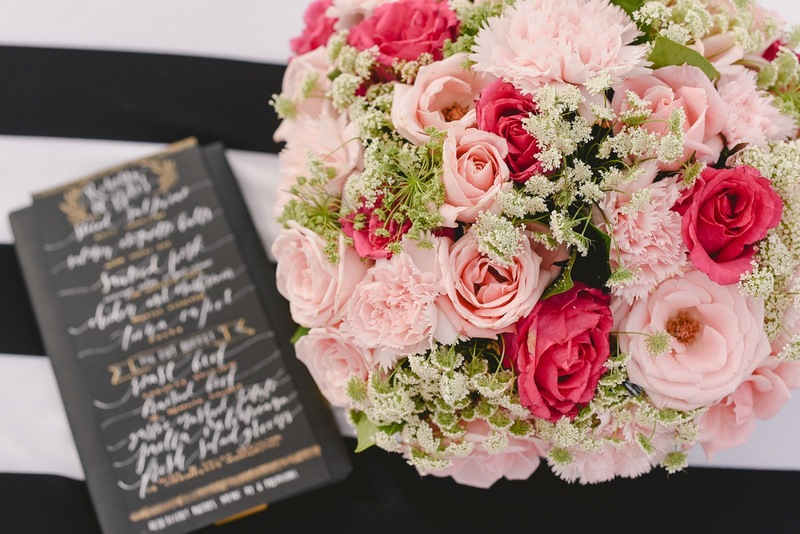 It doesn't have to grand, sometimes, it's not even intentional, all you need are little details or a simple detour from the usual wedding expectations. Now, about the people behind Quirky Creatives, the great thing about them is that they don't even try too hard to be different. They're as real as they can get. Seeing them, you already know they are oozing with creativity. 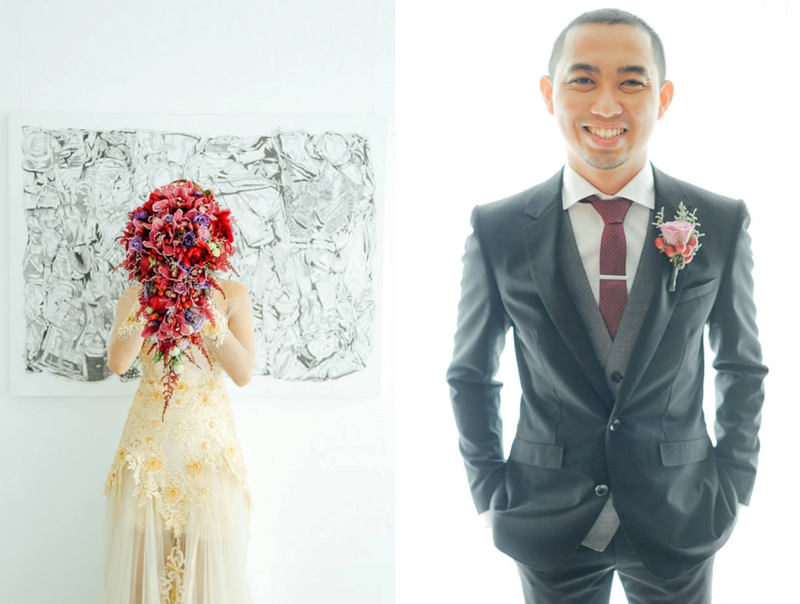 Noel Salazar, the owner and head photographer, the Quirky Man himself, is married to Rae Ventura-Salazar, who is a makeup artist and calls her team the Real Makeup Artisty. With their powers combined, they make for a great, comfortable team. 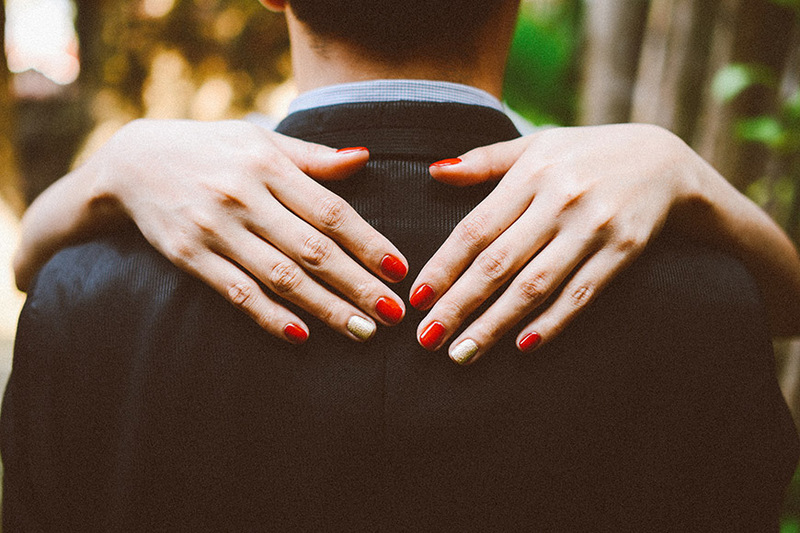 With a creative husband and wife on the board your wedding team, you can never really go wrong. Just let the quirk flow! 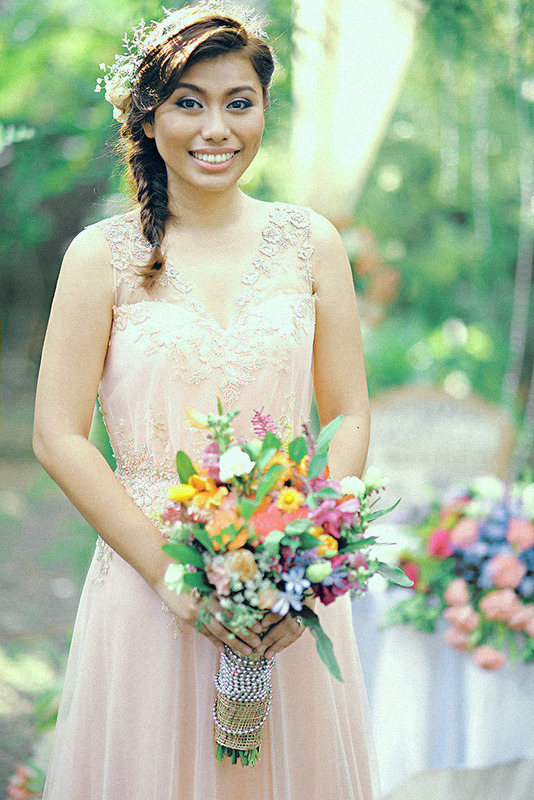 "We love how we were able to be quirky and spontaneous with the Quirky Creatives team. When we decided that we wanted to have a photo shoot at this Mexican restaurant right after the church ceremony, they gladly obliged! 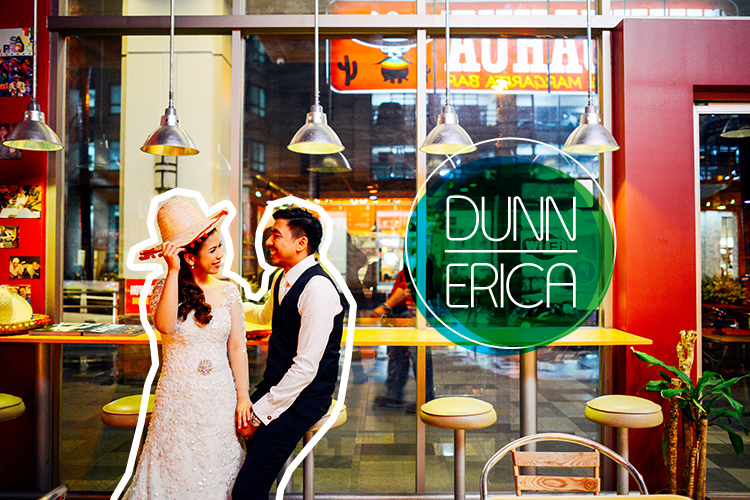 The restaurant staff was surprised to see us in our wedding gown and suit ordering nachos! Turns out, most of our favorite photos were shot there :)"
Once upon a time, we had a wish. We wished for our dreams to come true, for the magic of our minds to turn pixie dusts into butterflies. 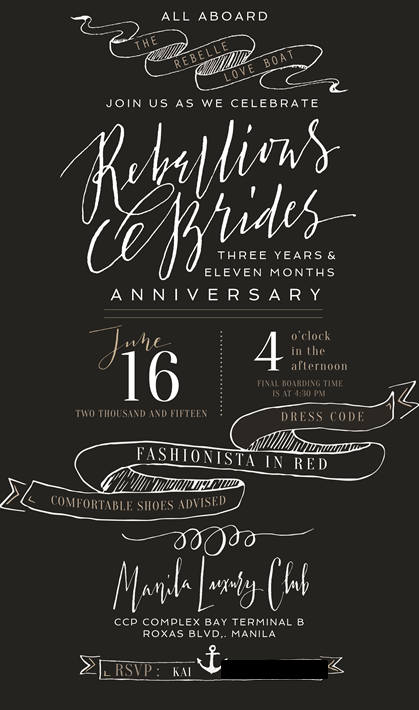 Now that Rebellious Brides has been here for almost four years, we are proud to give you yet another twist on a very classic tale. Because this is what we do. We are weavers of threads that make up wishes and dreams. We truly believe that Cinderella can choose to have a different happily ever after. And this is her story. VJ, the "Rebellious Groom" is actually a former colleague of mine. And I am not surprised that his wedding is not only creative but also cohesive (where we 'came' from, we jut had to work that way). But VJ is clearly not the only one with all the big ideas here. 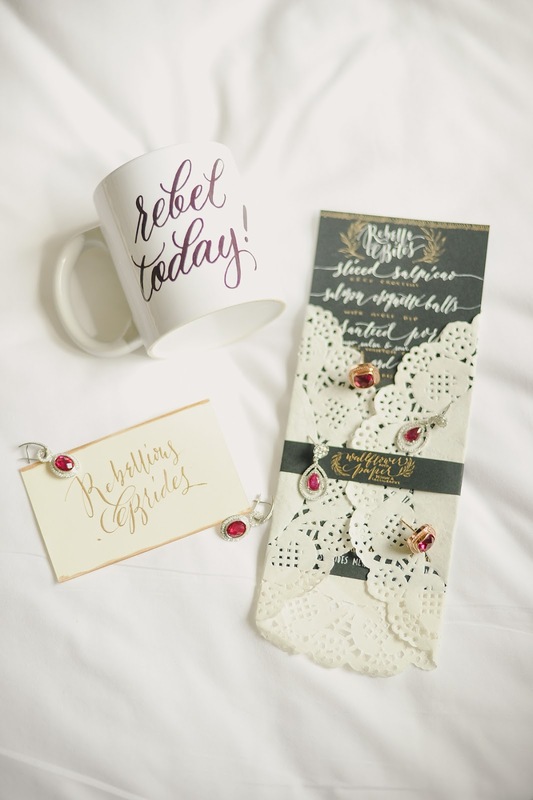 Julie is definitely a Rebellious Bride! 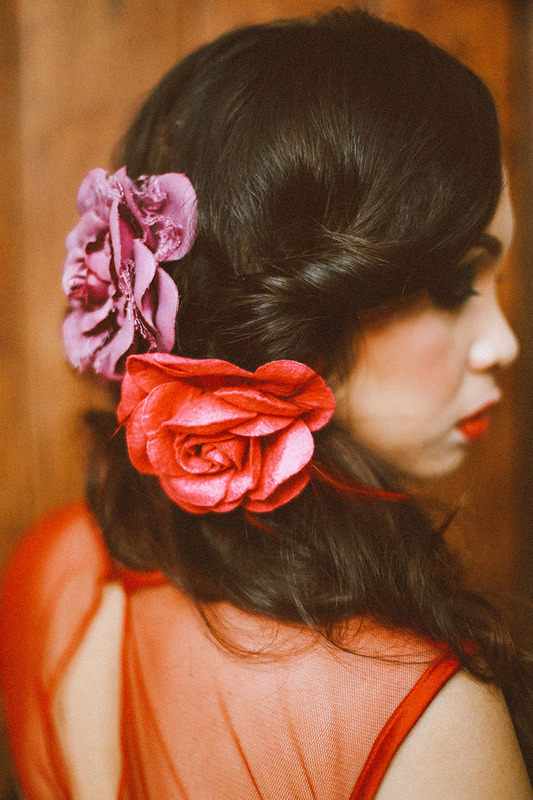 What with her fabulous, non-white Christine Lam gown, her sensational red hot cascading bouquet (and we all know that cascading bouquets are almost usually white), her fierce and quirky bridal shots, from her impeccable styling choices (the entourage are so well dressed it's so amazing!). She was just killing it! She is obviously comfortable in her own skin and her own choices. 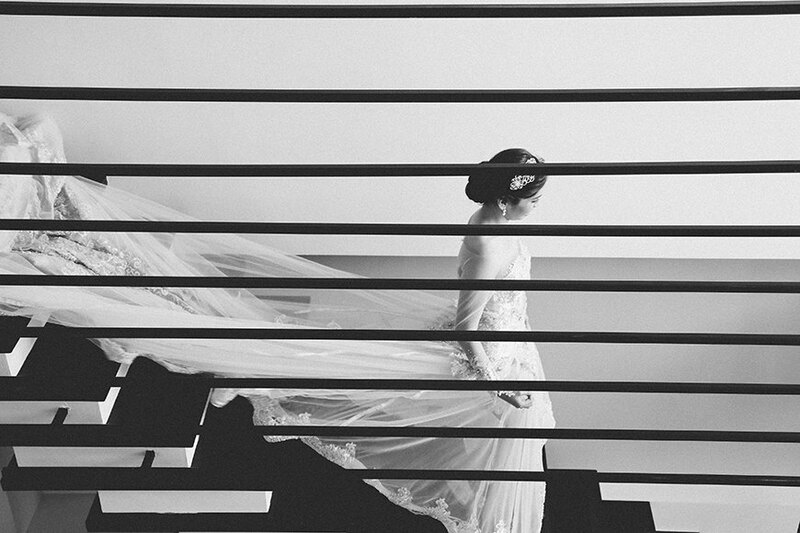 And her personality just flawlessly reflected in every aspect of the wedding. 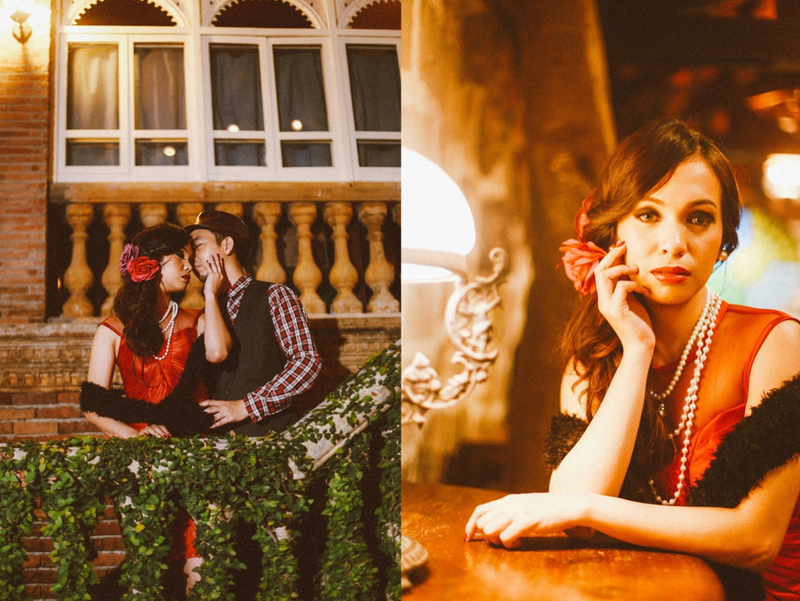 And we love the idea of a Spanish-themed wedding because after all, we were colonized by the Spaniards for more than 300 hundred years and their influences in our culture is so apparent. 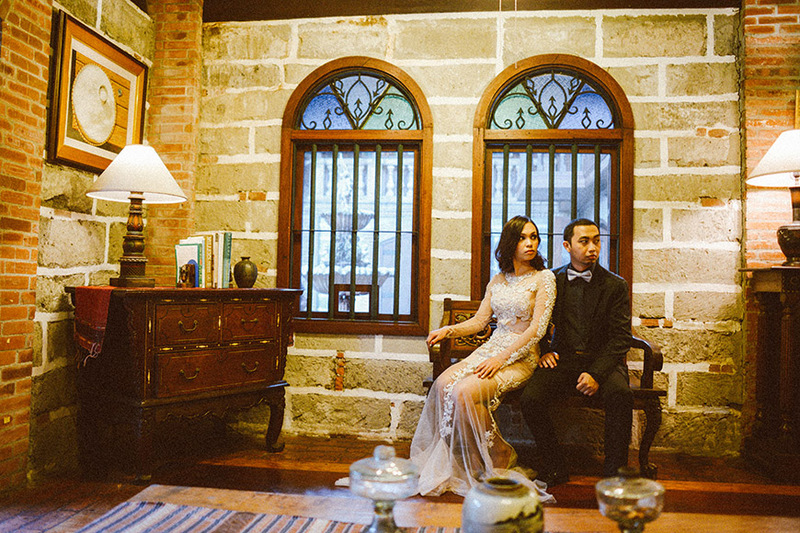 VJ & Julie's wedding actually gave us this "AHA" moment of realization that this theme could very well be another interpretation of Filipiniana and there's so many ways to go about it. 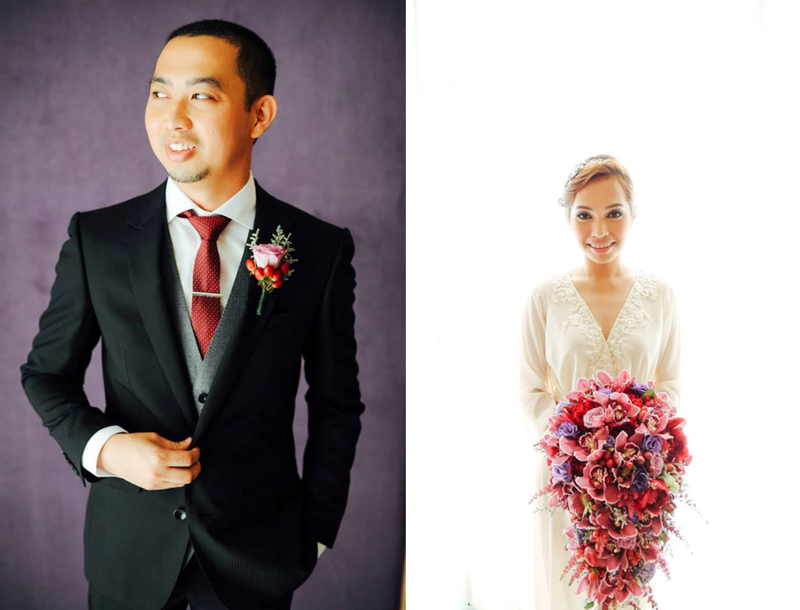 As you will see in Julie & VJ's engagement and wedding photos - this theme can go from bold to classic, from sassy to romantic, from spicy to muted. Julie looks so ravishingly gorgeous in all of the many beautiful looks that REAL Makeup Artistry created for her in both occasions. 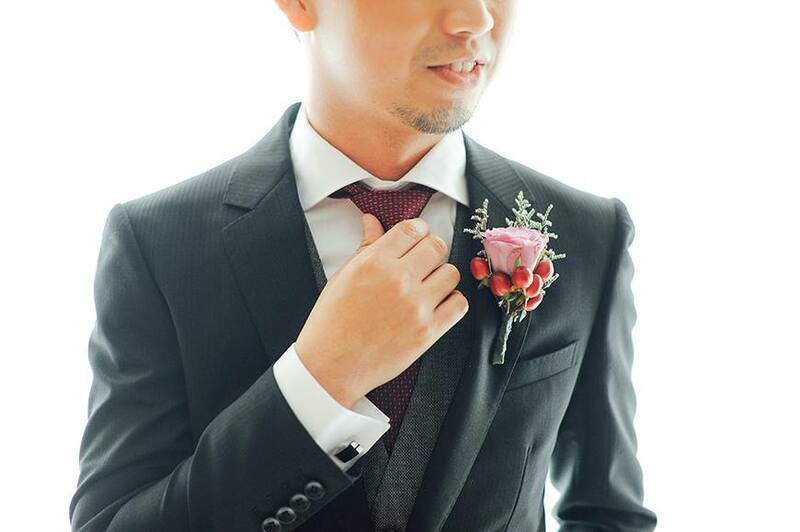 And VJ looked very dapper as photographed by Quirky Creatives. They are clearly a rebelliously unique couple and it radiated in their wedding! 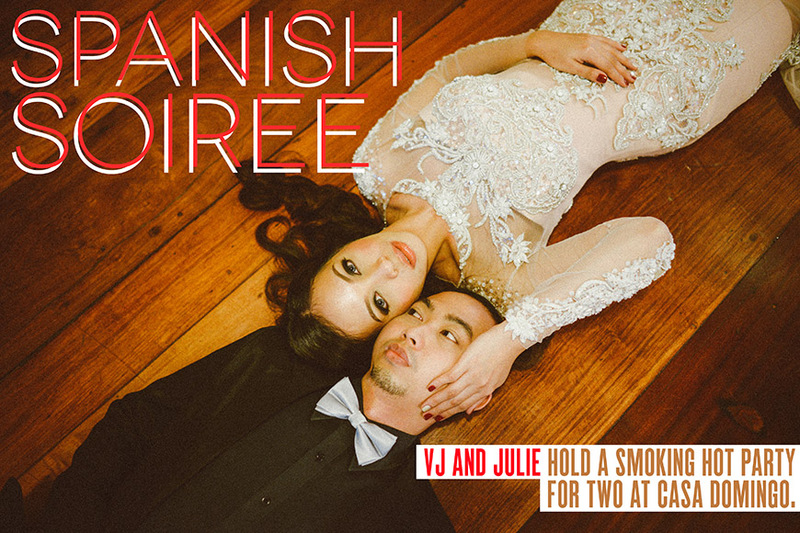 Congratulations Julie and VJ! 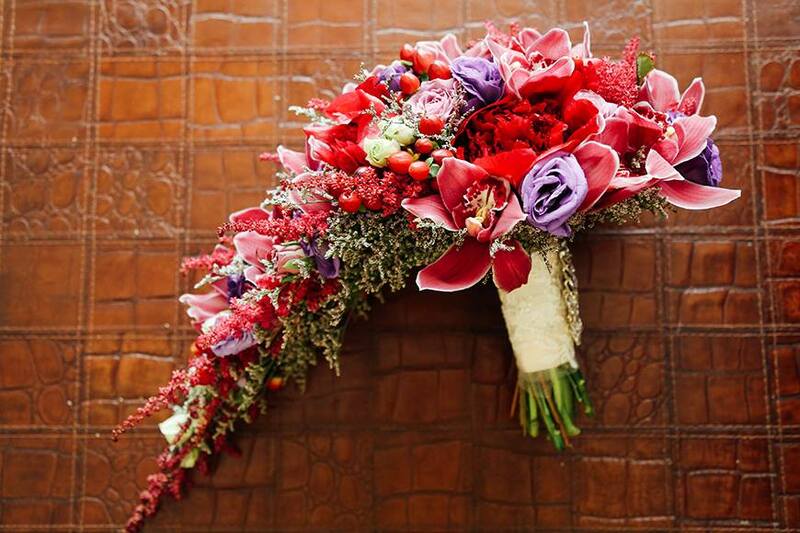 May your marriage be as vibrant as your wedding!